ASUSTOR NAS features a plug-n-share print server. 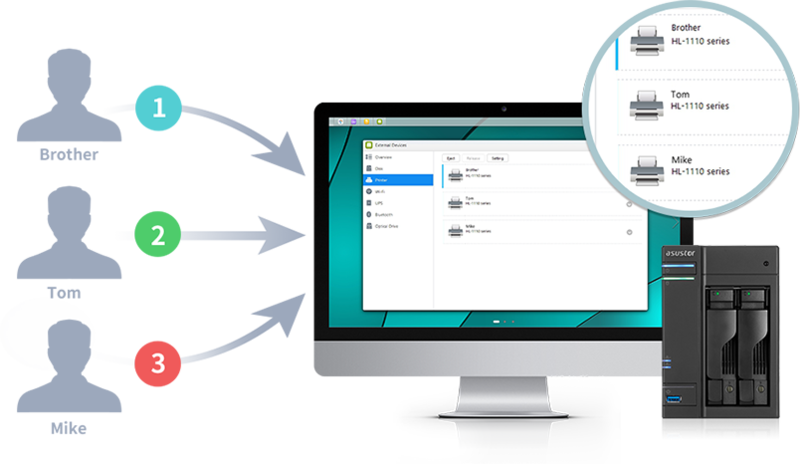 Each NAS can connect up to 3 USB printers and then share them to network clients with different OSes, including Windows, Mac, and Linux systems. 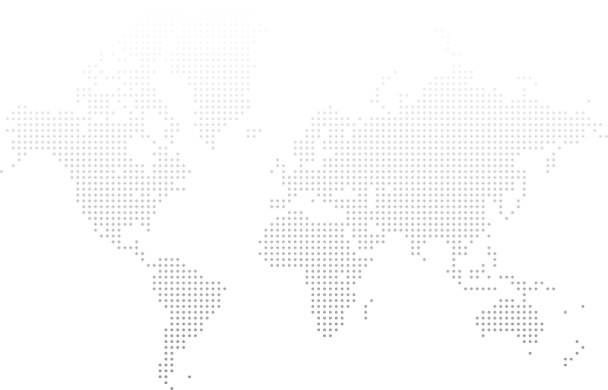 Effectively utilize your printer to save money and increase office productivity. 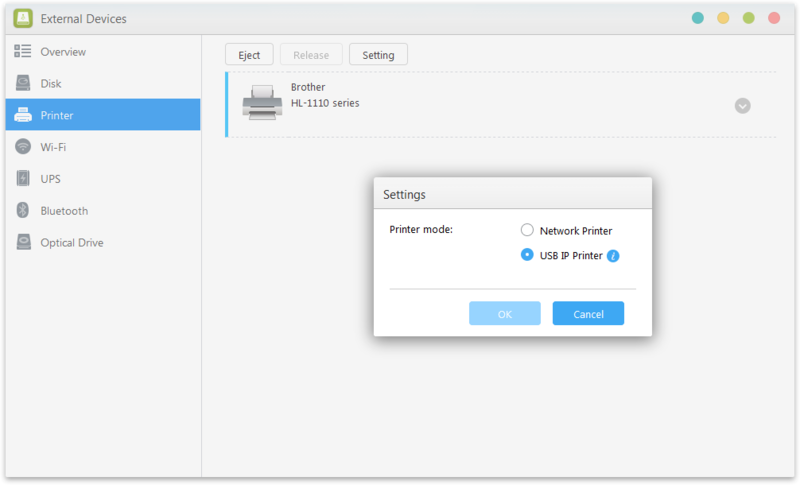 To improve the printing experience in a pure Windows network, ASUSTOR NAS supports USB IP Printer mode to virtually connect the printer to your PC. Now you can use wider range of printers on your NAS without worrying about compatibility issues. Note: USB IP printer mode must be used in conjunction with Windows ACC (ASUSTOR Control Center).